Tijana Stojanovic joined the financial services team in 2017, where she focuses on issues related to sustainable finance, as well as topics in the insurance and pensions sector. Before joining FleishmanHillard, Tijana gained public affairs experience at Mazars, working under the company’s European Affairs Project Director. 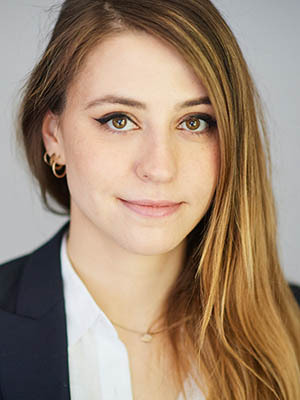 She also interned at a think tank focused on EU public policy, as well as at the OSCE Mission to Serbia, where she worked in the Political and Press Affairs Section. After being awarded a double major in political science and business administration following her undergraduate studies, she completed her Master in Public Policy at Sciences Po Paris, where she specialized in economic policy. In addition to her native Serbo-Croatian, Tijana is fluent in English and has a working knowledge of French.